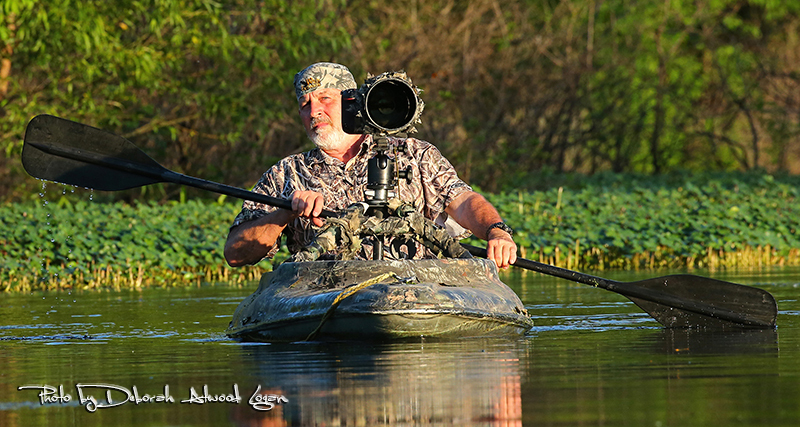 Michael A. Kelly, a lifetime resident of Mississippi, is a self-taught, professional photographer who found an interest in wildlife and nature photography while duck hunting some thirty years ago. On a cold, clear blue, winter day on the Mississippi River, his father was calling in a large flock of mallards. Kelly recalls, "As I watched these magnificent birds glide in and hover over the decoys, I knew then my days of duck hunting were over." Following the harvest of one mallard, his dad asked why he never fired a shot. "My only answer was that I was so caught up in the beauty and grace of the ducks that I forgot to shoot." From this point, Kelly pursued a completely different objective in his adventures afield. The next weekend, he and his older brother went duck hunting, but this time armed only with camera. Inspired by his love of Mississippi's woods, wetlands, and wildlife, Kelly has free-lanced since 1981. His workhas appeared in over 1800 publications nationwide. A partial listing of magazine credits includes: National Wildlife Federation, Sports Afield, North American Whitetail, Ducks Unlimited, Mississippi Outdoors, Southern Living, Wildlife Mississippi, Delta Wildlife, and Game and Fish publications throughout the continental United States. Many years ago he even had a limited edition print hanging in the nation’s caption. He has also exhibited at numerous outdoor expositions throughout the South. Although Kelly travels the Southeast, Mississippi's native animal and plant life are consistently his favorite subjects, whether the zebra swallowtail butterfly or the whitetail deer. Most of his award winning images are taken hear his home of Greenville, Mississippi, located on the mighty Mississippi River. Capturing the majesty and beauty of nature, and sharing it with others continues to gratify him deeply.